Home > Find a Physician > Dattatreyudu Nori, M.D., M.B., B.S. Dattatreyudu Nori, M.D., M.B., B.S. Dattatreyudu Nori, M.D., FACR, FACRO, is Professor and Executive Vice Chairman of the Radiation Oncology Department at The NewYork-Presbyterian Hospital/Weill Cornell Medical College in New York City. In addition, Dr. Nori is Chairman of Radiation Oncology at The New York Hospital Medical Center of Queens. He is also the Director of the Cancer Center at the New York Hospital Queens, in which capacity he heads that organization's cancer program. Dr. Nori completed his undergraduate training at Kurnool Medical College and received his postgraduate medical degree from Osmania University in India. He then joined the staff of Memorial Sloan-Kettering Cancer Center in New York City, where he became Chief of the Brachytherapy Service before accepting the current position as Chairman of Radiation Oncology at Cornell. Dr. Nori has an international reputation as a pioneer and authority in radiation oncology and brachytherapy. He was instrumental in introducing the current techniques and clinical concepts of High Dose Rate Brachytherapy for gynecological, genitourinary, thoracic and head and neck tumors. His research also included efforts to improve the outcome for patients with prostate cancer, lung cancer, pancreas, breast and other cancers. Dr. Nori has served as principal investigator for numerous clinical trails sponsored by the National Cancer Institute and has received several national and international awards for his contributions to cancer research, including the Distinguished Alumnus Award of the Memorial Sloan-Kettering Cancer Center Alumni Society. He has been called "a recognized leader in his specialty" by the prestigious New England Journal of Medicine. Dr. Nori served in the American Cancer Society in various positions including Chairmanship of the Professional Education Committee. The American Cancer Society honored him with their highest prestigious award "Tribute to Life" for his accomplishments in cancer research. Dr. Nori has trained more than 150 residents and fellows, some of whom have become Chairman of academic departments in the U.S. Dr. Nori is a Fellow in the American College of Radiology, Fellow in the American College of Radiation Oncology, past President of the American Brachytherapy Society, and a current member of several national and international oncology societies. He is also an Associate Editor of three oncology journals as well as a Visiting Professor to many universities in the U.S. and abroad. He has published three books and more than 200 scientific articles. He has given several prestigious lectureships such as the Probstein Oncology lecture at Washington University in St. Louis. He received a Gold Medal from the Indian Medical Association for his contributions to cancer research and training Indian physicians in the U.S. He also received the Excelcier Award from the Network of Indian Professionals in the United States and many Indian Organizations in the U.S., such as the Nargis Dutt Cancer Foundation and the Federation of Indian Associations have honored him for his contributions to cancer research. Dr. Nori has provided technical and scientific help to many cancer centers in India, South America and Israel, and he is also the Founding Member of the Indo-American Cancer Institute for Women and Children, a state-of-the art 250 bed cancer and research institute located in Hyderabad, A.P. which was inaugurated by the Prime Minister of India in 2001. In addition, Dr. Nori is a Consultant to the United Nations International Atomic Energy Agency, advising on the formulation of guidelines for the treatment of cancer in developing countries. 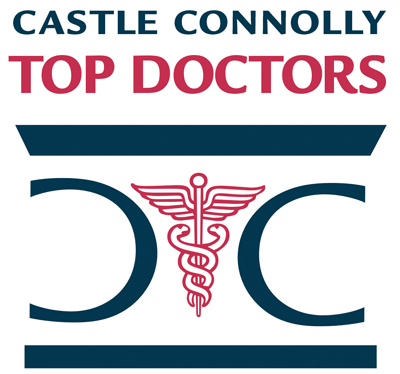 In a recent survey conducted by the reputable Castle Connolly Medical Ltd and published in America's Top Doctors, Dr. Nori has been selected as one of the top doctors in America. In this survey, more than 250,000 leading doctors were asked to name the nation's best physicians in various specialties - those "to whom you would send members of your family". The most important criterion for physician selection was excellence in patient care, education, residency, board certification, fellowships, professional reputation, research, hospital affiliation, academic stature and medical school faculty appointment and experience. In a more recent survey done by the most popular woman's magazine in the U.S., The Ladies' Home Journal, Dr. Nori has also been named as one of the top doctors in America for the treatment of cancers in women. Dr. Nori was also honored by Senator Jon Corgine, Chairman of the Democratic Senatorial Committee and by Council Speaker Gifford Miller for his contributions to cancer research. Dr. Nori continues to be active as clinician, teacher, researcher and administrator of two large Radiation Oncology Departments and the Cancer Center at New York Hospital Queens. 7/62 - 6/65: A. J. College, Andhra University, Bachelor of Science (B.Sc. ), India. 7/65 - 12/71: Kurnool Medical College, Sri Venkateswara University, Bachelor of Medicine and Bachelor of Surgery (M.B.B.S. ), India. 1/72 - 5/76: Osmania University, Doctor of Medicine (M.D. ), India. 7/77 - 6/78: Special Fellow, Brachytherapy Service, Department of Radiation Oncology, Memorial Sloan-Kettering Cancer Center, 1275 York Avenue, New York, N.Y. 10021. 7/76 - 6/77: Senior Fellow, Brachytherapy Service, Department of Radiation Oncology, Memorial Sloan-Kettering Cancer Center, 1275 York Avenue, New York, N.Y., 10021. 3/73 - 5/76: Resident, Radium Institute and Cancer Hospital, Red Hills, Hyderabad, A.P., India. Affiliated to Osmania University. 2/72 - 2/73: Intern (rotating) Gandhi Hospital, Secunderabad, A.P., India. 1/96 - Present Executive Vice Chairman, Department of Radiation Oncology, The New York Presbyterian Hospital-Weill Cornell Medical College, 525 E. 68th Street, New York, N.Y. 10021. Professor of Radiology, Cornell University Medical College, 1300 York Avenue, New York, N.Y. 10021. 8/89 - Present Chairman, Department of Radiation Oncology, The New York Hospital Medical Center of Queens, 56-45 Main Street, Flushing, N.Y. 11355. 7/91 - Present Director of the Cancer Center, The New York Hospital Medical Center of Queens, 56-45 Main Street, Flushing, N.Y. 11355. 8/90 - 1/96 Professor of Clinical Radiology, New York University Medical Center, 566 First Avenue, New York, N.Y. 10016. 3/88 - 8/89 Chief, Brachytherapy Service, Department of Radiation Oncology, Memorial Sloan-Kettering Cancer Center, 1275 York Avenue, New York, N.Y. 10021. 7/85 - 8/89 Associate Attending Radiation Oncologist, Memorial Sloan-Kettering Cancer Center, 1275 York Avenue, New York, N.Y. 10021. Associate Attending, Department of Medicine, The New York Hospital, 525 East 68th Street, New York, N.Y. 10021. Associate Member, Sloan-Kettering Cancer Research Institute, 1275 York Avenue, New York, N.Y. 10021. Associate Professor of Radiation Oncology in Medicine, Cornell University Medical College 1300 York Avenue, New York, N.Y. 10021. 1/80 - 6/85 Assistant Attending Radiation Oncologist, Department of Radiation Oncology, Memorial Sloan-Kettering Cancer Center, 1275 York Avenue, New York, N.Y. 10021. Assistant Professor of Radiation Oncology in Medicine, Cornell University Medical College, 1300 York Avenue, New York, N.Y. 10021. 7/78 - 12/79 Clinical Assistant Radiation Oncologist, Department of Radiation Oncology, Memorial Sloan-Kettering Cancer Center, 1275 York Avenue, New York, N.Y. 10021. Instructor in Radiation Oncology in Medicine, Cornell Univeristy Medical College 1300 York Avenue, New York, N.Y. 10021. Assistant Attending Radiologist, New York Hospital, Cornell University Medical College, 525 East 68th Street, New York, N.Y. 10012. Member, Education Committee, Department of Radiation Oncology, Memorial Sloan-Kettering Cancer Center, 1981-1989. Member, Gynecology Task Force, Gynecology Service, Department of Surgery, Memorial Sloan-Kettering Cancer Center, 1981-1989. Member, Utilization Review Committee, Memorial Sloan-Kettering Cancer Center, 1981-1982. Member, Education Committee, New York Roentgen Society, 1982. Program Director, Education Program, Brachytherapy Service, Department of Radiation Oncology, Memorial Sloan-Kettering Cancer Center, 1983. Editor, Endocurietherapy/Hyperthermia Oncology. An International Journal. 1984-2004. Member, Board of Directors, American Brachytherapy Society. 1984-1994. Chairman, Quality Assurance Committee, Department of Radiation Oncology, Memorial Sloan-Kettering Cancer Center, 1986-1988. President, Brachytherapy Oncology Association (Northeast Chapter Of the American Endocurietherapy Society), 1986. Secretary, American Endocurietherapy Society, 1987. Treasurer, Alumni Association of the Department of Radiation Oncology, Memorial Sloan-Kettering Cancer Center, 1987. Member, Institutional Device Committee, Memorial Sloan-Kettering Cancer Center, 1987-1989. Member, Committee on Radiation, Memorial Sloan-Kettering Cancer Center, 1988-1989. President-Elect, American Endocurietherapy Society, 1988. Associate Editor, Cancer Investigation, 1988-2002. President, American Endocurietherapy Society, 1989. Chairman, Cancer Committee, New York Hospital Medical Center of Queens, 1989-present. Member, Professional Education Committee, American Cancer Society. 1990-1994. Member, Credentials Committee, The New York Hospital Medical Center of Queens, 1990-2000. Member, Oncology Task Force, The New York Hospital Medical Center of Queens, 1990-Present. Chairman, Board of Directors, American Endocurietherapy Society,1990. Member, Grants Review Committee, National Cancer Institute 1991-1995. Director at Large, American Endocurietherapy Society, 1993. Vice-Chairman, Medical Board, The New York Hospital Medical Center of Queens,1993. Secretary, New York Cancer Society, 1994. President, New York Roentgen Society, 1995-1996. President-Elect, New York Cancer Society, 1996. Member, Medical Board Quality Assurance Committee, New York Presbyterian Hospital, 1996-present. President, New York Cancer Society, 1997. American College of Radiation Oncology Continuing Education Committee Member, 1998-1999. Editor Radiation Medicine, Cardio-Vascular Radiation Medicine, An International-Multidisciplinary Journal, 1998-present. Member, Eugene M. Lang Research Center Scientific Advisory Board, The New York Hospital Medical Center of Queens, 1999-present. Member, American Brachytherapy Society Long Range Planning Committee, 2000. Member, Scientific Advisory Board of the International Academy of Cardiology and the 2nd International Congress on Heart Disease, 10/00-6/30/02. Contributor, Cornell Illustrated Encyclopedia of Health, 2003. Executive Member, Columbia Cornell Cancer Centers, 2003-present. Member, American Society for Therapeutic Radiology and Oncology Subcommittee on Educational Sessions, 2004. As Director of the Cancer Center, responsible for multidisciplinary patient care, professional education and both basic and clinical research and has obtained accreditation from the American College of Surgeons Commission on Cancer Program for three consecutive terms without any citations. Developed Breast Center, Gynecologic Oncology, Head and Neck, Neuro-Oncology, Thoracic Programs and initiated tumor conferences in every sub-specialty in Oncology at the New York Hospital Queens. -Presently, Chairman of the integrated Radiation Oncology Residency Program for Cornell University and in the past at Memorial Sloan-Kettering Cancer Center's approved program in Radiation Oncology. -Personally participated in the teaching of nearly 100 residents and 20 to 30 fellows. -All of my graduates are occupying respectable positions in Universities and Hospitals. -As a coordinator for the Surgical Oncology Program, actively involved in the teaching of Surgical Oncology and Gynecology Fellows rotating through the Radiation Oncology Department. 1962 Certificate of Merit, Pre-University Education. 1965 Certificate of Merit, Andhra University Bachelor of Science Degree (obtaining the highest grade). 1975 Certificate of Merit, Osmania University Radiation Oncology, (obtaining the highest grade). 1981-1984 American Cancer Society, Faculty Clinical Fellowship. 1990 Fellow, American College of Radiology. 1991-present New York Magazine, Special Report, Best Doctors in New York, Top 1085 Doctors, Selected by Fellow Physicians. 1994 Distinguished Alumnus Award, Alumni Society, Memorial Sloan-Kettering Cancer Center. Dattatreyudu Nori, M.D., M.B., B.S. has been named one of America's Top Doctors by Castle Connolly. We have 384 of America's Top Doctors in 57 medical specialties.